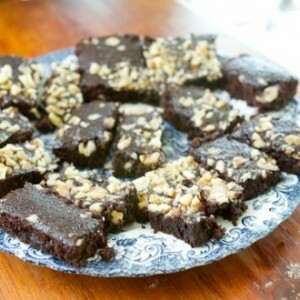 This brownie is made with egg whites, whole wheat flour, and not a lot of butter. Each brownie square comes in under a 100 calories and yet, the dense brownie texture (and flavor) is still there! Mix together ingredients and spread into a lightly greased 8×8 pan. Bake for 30 minutes or until brownies are set.